"As retail competition increases due to the growth of new channels and the ease of reaching customers around the world, many online retailers have started holiday planning earlier to make the most of the busiest, and most prosperous, time of the year," BigCommerce researchers wrote. Out-of-office alerts: Companies need a way to alert clients of office closures, with instructions on back-up support. Email-enabled CRMs can send alerts to clients ahead of time, so they're not surprised. This will help set expectations and put you ahead of the pack. Personalized messages: CRM systems automatically keep track of customer milestones. Setting up notifications that are sent to sales and support teams or directly to merchants is a valuable gesture that merchants won't forget. Cory Capoccia, president at Womply, said CRMs can automate marketing campaigns ahead of the holidays, which frees merchants to focus on immediate priorities. "With a CRM in place, you're better prepared to communicate with customers, and get them to come back, in the event that inclement weather, inventory problems or other issues prevent you from delivering a great customer experience." Last year's lessons are integral to holiday planning, noted BigCommerce analysts, who contend that "learning from your actions and formulating data-based insights is the only way to enter the next holiday season wiser and more prepared than the previous." Following are suggestions on how to leverage data-rich merchant portfolios and CRM systems. Capoccia said analytics deliver actionable advice to help merchants make informed decisions. "For example, if Black Friday was your best sales day in 2017, you might choose to open earlier this year to capture spillover traffic from doorbuster shoppers at Best Buy and Target," he said. "Without access to this data or an easy way to sort through it, business owners miss out on repeat business because they don't understand their customers." Data-driven insights can help merchants audit their online reputations, a critical imperative in today's always-on, always-connected economy. Capoccia recommends combining artificial intelligence with human oversight for best results. CRMs can identify negative reviews and respond in real time; merchants might also ask their best customers to provide feedback, he stated. "In all cases, small merchants should be running a proactive reputation management program to engage with prospects and customers online," he said. "Online review sites are often the first touchpoint consumers have with a business; it's critical to maintain a positive online presence." Madelyn Newman, director of product and customer marketing at CallRail, said, "Today's consumers are more mobile than ever and increasingly transact from smartphones. We pinpoint where phone calls originate, the web page a caller was visiting and what marketing resources are driving the call." The ability to extract source data from a smartphone URL and alert agents about an incoming call facilitates meaningful discussions, Newman noted. Built-in reporting tools can identify the busiest times of a day or week. "If you're managing a call center and your Black Friday call volumes more than double year-over-year, you want to make sure you're armed with enough agents to handle those calls," she said. Implement point-to-point encryption (P2PE): Ruston Miles, co-founder and chief strategy officer at Bluefin Payment Systems LLC, has helped processors, manufacturers and leading retailers derive multiple benefits by implementing point-to-point encryption. "By upgrading your terminals, you're giving merchants the gift of increased sales, time and convenience," he stated. 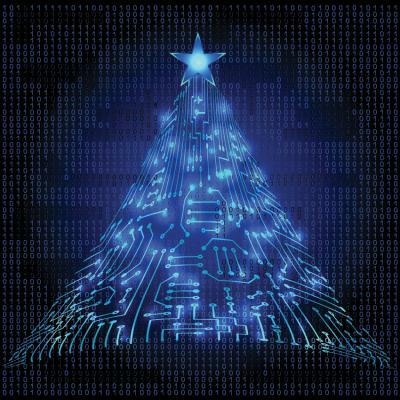 "You're also taking an opportunity to make it a very sad Christmas for hackers." "Merchants that have an option from their acquirers to do point-to-point encryption (P2PE) should strongly look at implementing those options," said Mark Carl, CEO at ControlScan. "Encrypting card data at the point of interaction (POI) continues to be the most successful means of preventing a breach of card data itself." Schedule routine penetration testing: "Regular and ongoing penetration testing is one component of a mature security program and can help identify vulnerabilities that were missed by systems managers during changes and upgrades," Carl stated. Consider managed services: "Third-party security consultants and service providers can validate that necessary controls are in place to protect the complete environment or provide services that merchants may not have the expertise or personnel to tackle themselves," Carl said. Implement PCI tools: Christopher Skarda, security analyst at SecurityMetrics, said the Payment Card Industry Data Security Standard provides tools to enhance security systems. These tools include intrusion detection systems/intrusion prevention systems, internal and external vulnerability scanning solutions, file integrity monitoring solutions, log monitoring tools, and web application firewalls, he stated. "It is important to keep automated tools continuously tuned and monitored closely by human experts for them to perform effectively," he said. Continuously monitor: Todd Hovorka, forensic analyst at SecurityMetrics, said testing infrastructure is an ongoing process that is never completed. "Load testing, along with its big brother, stress testing, should be a regular part of any network or database administrators job description, and it is no less important for programmers and QA engineers relative to the scaling capabilities of an application or website under development," he said. "Yes, it will certainly take additional resources and capital up front, but if you experience five minutes of downtime during Black Friday, it will feel more like a year, and losses in revenue can be astronomical." BigCommerce researchers urge merchants to beef up inventories. "Place your orders now, so you're well stocked for the holiday rush," they wrote. "Also make sure that each of your warehouses is appropriately stocked, or that you have shipping and fulfillment rules in place to switch warehouses if a minimum threshold is hit." Cash flow management can challenge small business owners, Capoccia pointed out. Obstacles may include variable revenue patterns, inadequate accounts receivable programs and lack of forecasting tools that would help them be proactive and anticipate needs. Womply's optional cash management program links to a merchant's bank account to provide additional insights and tools to analyze banking transactions, expenses and key areas of focus, he said. Darren Schulman, president of 6th Avenue Capital, said preplanning typically involves getting rid of old stock to make room for new inventory, hiring and training seasonal employees, updating websites and planning holiday marketing campaigns. "All that takes money," he said. "The time to talk about holiday planning is now, not next week." Merchant cash advances use tech-driven underwriting to provide fast access to working capital, which can be beneficial to business owners if they have a plan for the money, Schulman noted. This could mean buying a large amount of inventory at a quantity discount. "The only reason to take an advance is to make more money," he said. "You don't do it to pay old bills." Schulman advised MLSs to partner with funders who respect their merchants and take the time to understand their needs. "No merchant wants to be defined only by numbers," he said. "How well do your funders listen to their needs and structure a deal that is right for their business?" SPAD001 , Uniform Industrial Corp.